The thing that makes Movieland Studios so good is their complete disregard for intellectual property. 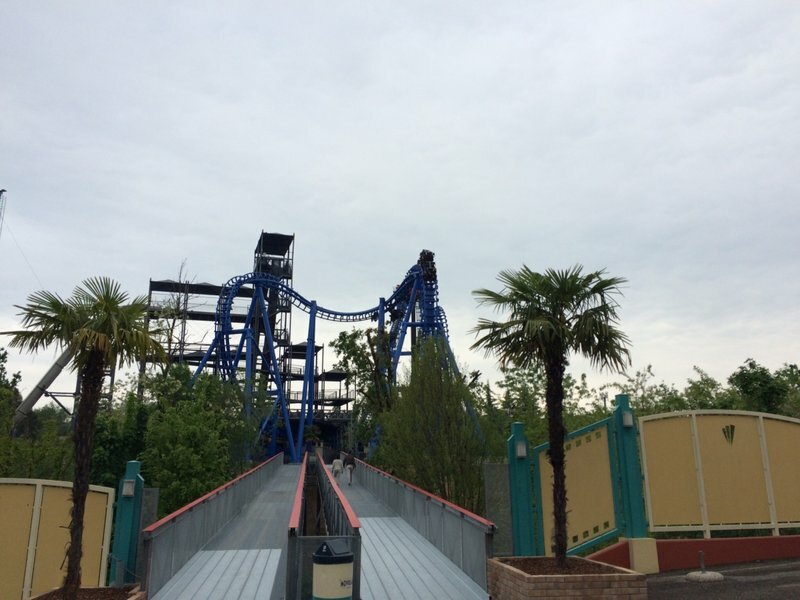 Most of the rides use well-known names, such as Hollywood Action Tower (an Intamin 1st-generation Drop Tower following a similar Universal storyline), a Top Spin themed to Tomb Raider, and a Police Academy-themed simulator. If you look past the "familiar" theming there are a couple of very fun scary rides. Magma 2 is like a backstage tour gone horribly wrong with an out-of-control, unlicensed driver. U-571 Submarine Simulator has to be experienced to be believed. You start on a u-shaped metal catwalk meant to simulate a submarine bay. All of a sudden you are under attack from some planes and are ordered to run along the catwalk as you are mildly splashed with water. Then you head down some slippery stairs and sit inside a submarine on what appear to be torpedoes. Then all hell breaks loose with sirens, blinking reds lights, and screaming as depth charges explode while everyone gets drenched. After U-571, Magma 2 if you want to contniue to put your life in the hands of the park ride KITT Super Jet, a high speed power boat ride. 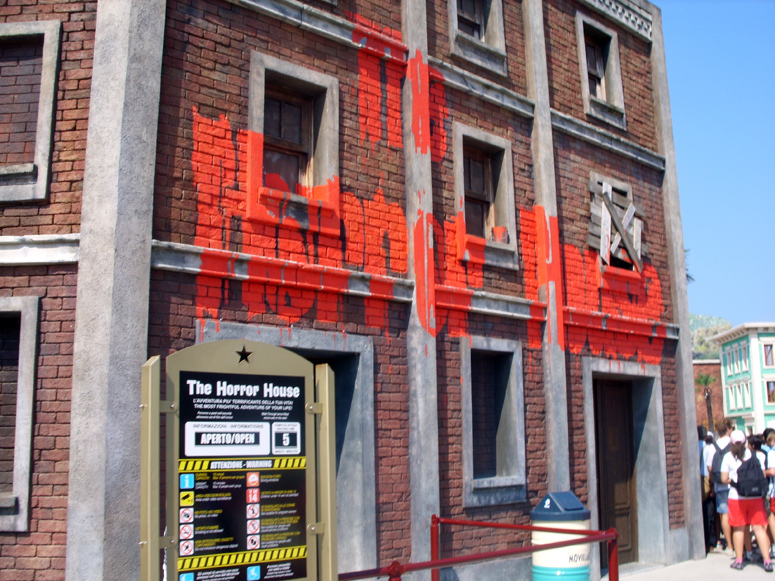 Horror House is a wonderful long walkthrough where 10-12 particpants deal with live actors and dark and uneven walkways. If you prefer a more traditional drenching, Aquastudios is included in the admission price and offers some insane water slides. Zorro Steak House and Show is the largest restaurant in the park. Other options in the park include pizza, pasta, hamburgers, hot dogs, and turkey legs. A word to the wise is to never order pizza from someplace themed to The Dukes of Hazzard. 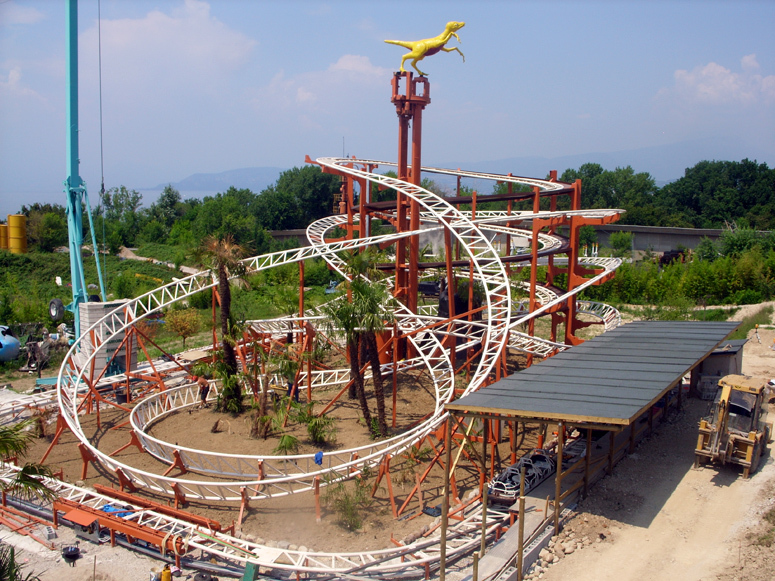 The park opens in late April and the season runs through mid-September. The park is open every day in July and August, and open almost every day in June, with limited operations in April, May, and September. The park is open for Halloween events during weekends in late-September and October. 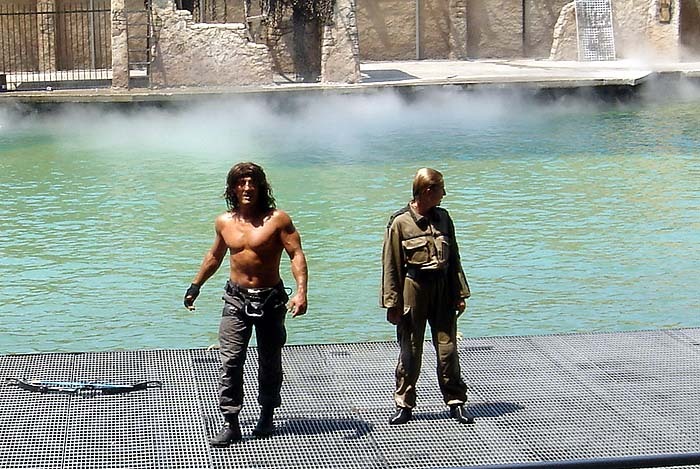 The John Rambo Stunt Show is the most popular show. Other shows include an illusionist and a Peter Pan show. Shows are spaced throughout the day so make sure to check the shows schedule when you get to the park. 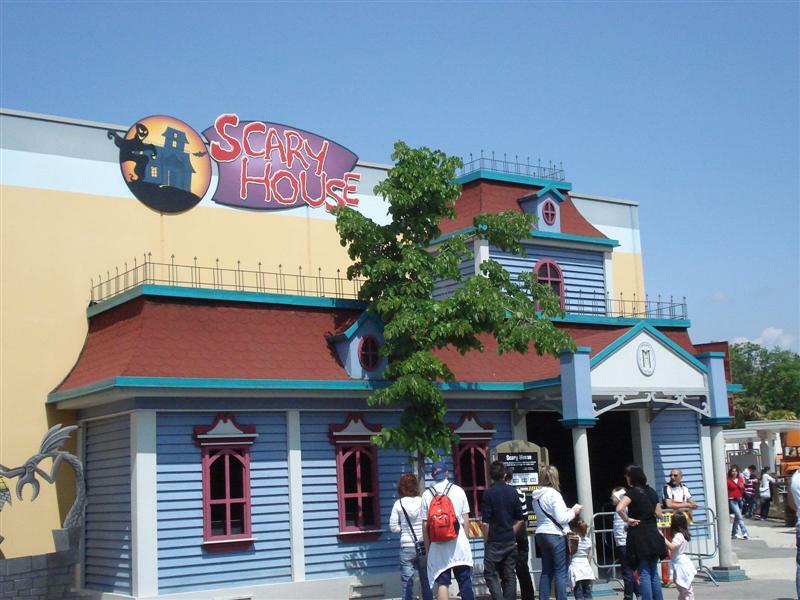 During lunchtime the Horror House closes and is transformed into a Scooby Doo-themed Scary House, but is only for children. 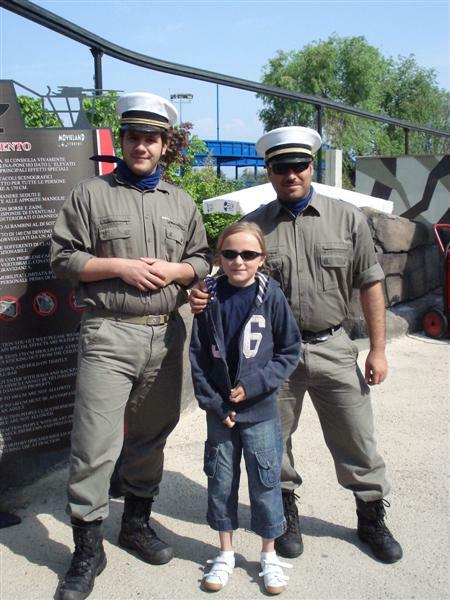 Movieland is an extremely quirky park that appears to take a lot of liberties with intellectual property rights. 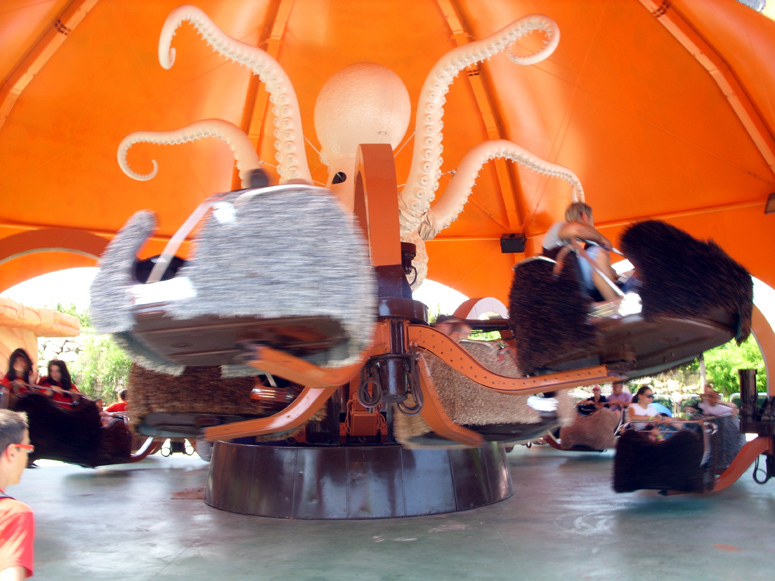 Many rides and displays throughout the park are themed to American movies and TV shows. 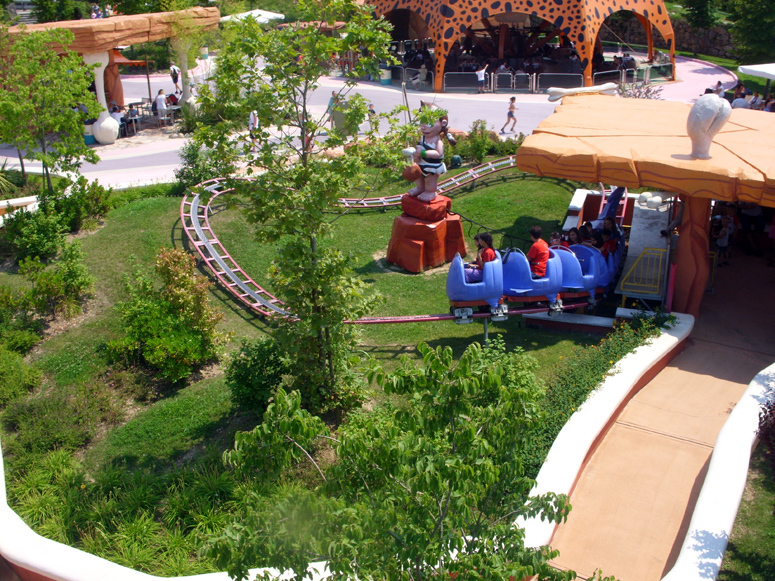 It all looks very kitschy and cheap, but the park adds flair and intensity to each ride. 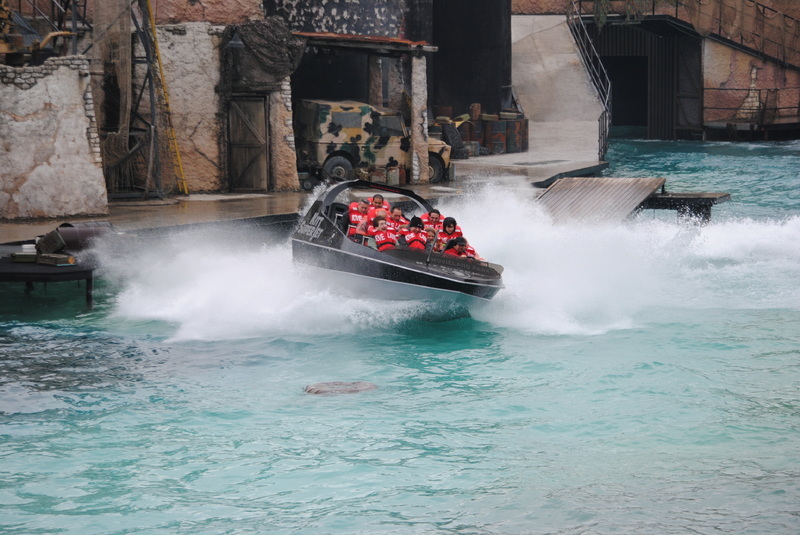 Ever been on a simulator where you get drenched (U571) or a backstage tour (Magma 2) where the guides drive like they are in a Mexican roundabout? 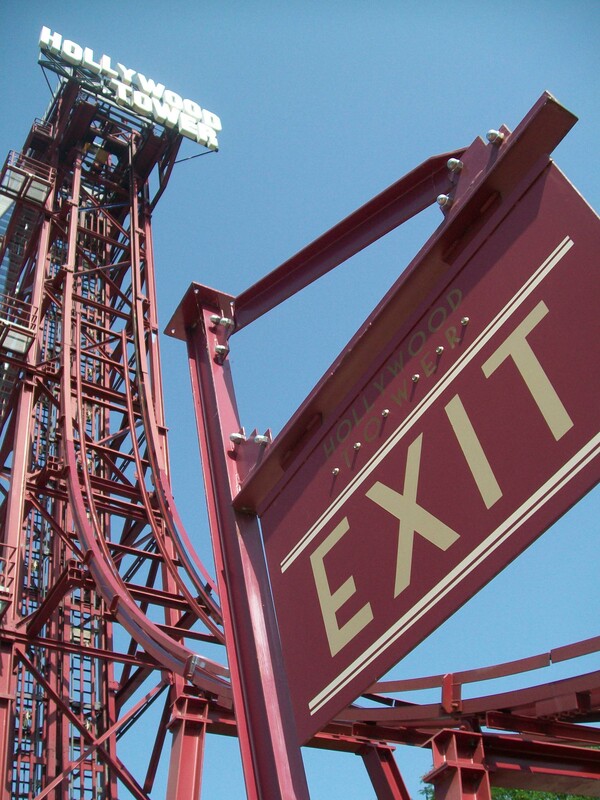 The park has one of the lengthiest year-round haunted-walkthrough attractions and a 1st-generation Intamin drop tower. 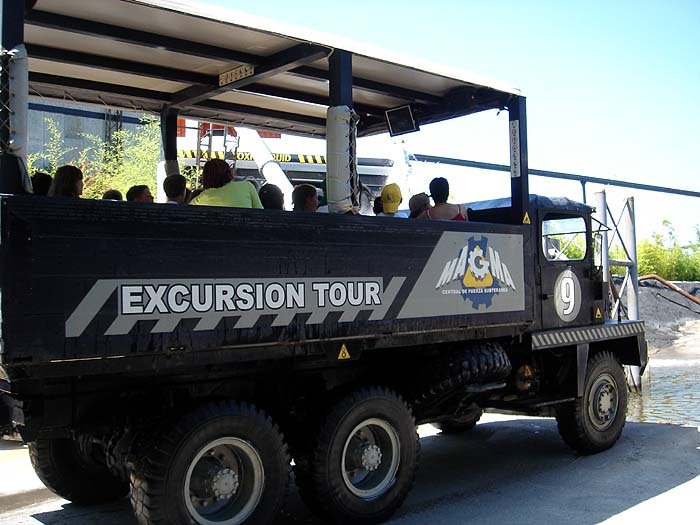 However, throughput tends to run on the slow side on many rides, causing a lot of waiting for a minimal amount of attractions. Food variety at the park is lacking and below average taste wise. The park is a concrete jungle with little shade, but they provide a nice area of misting devices where you can cool off a little. 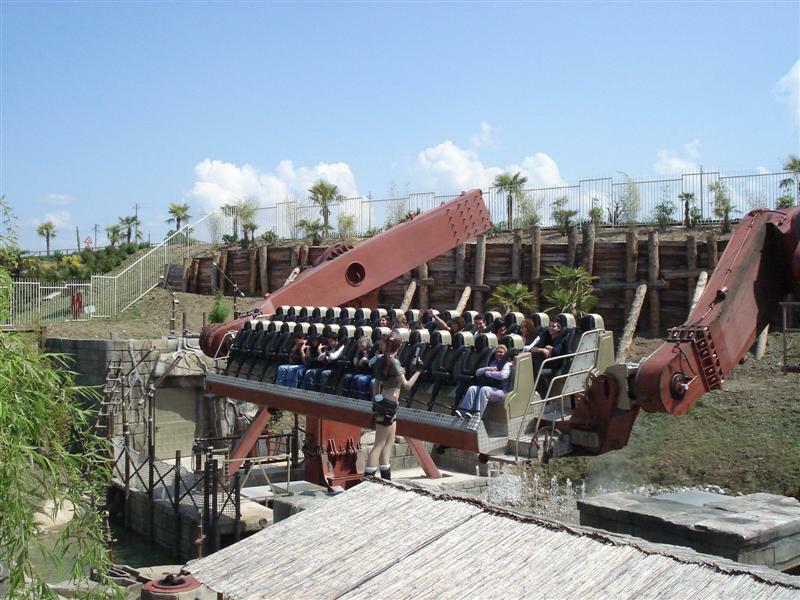 Unique attractions that cannot be found in any other amusement park in the world. 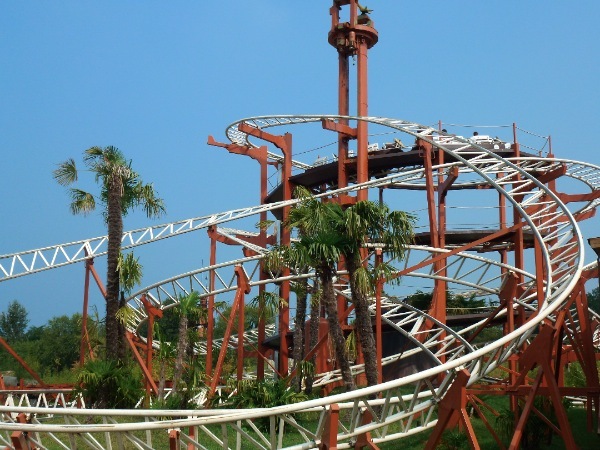 This park could be as awesome as some SyFy movies, but they have a lot of issues. They have the slowest dispatch times I have ever seen. 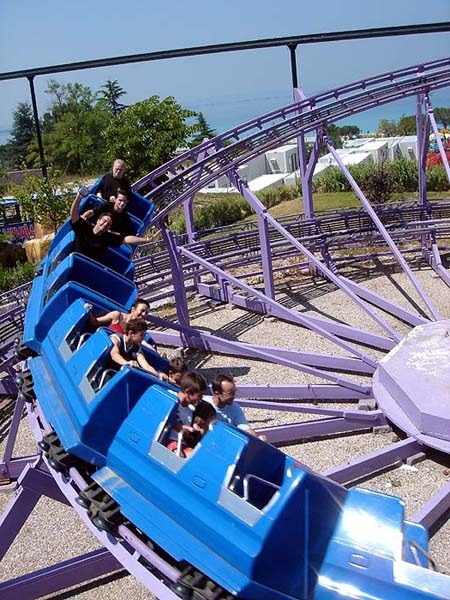 The Top Spin had a cycle time of 15 minutes, and they would only allow half the seats to be filled on a busy day. The Magma tour is a ride that you feel you will die on. 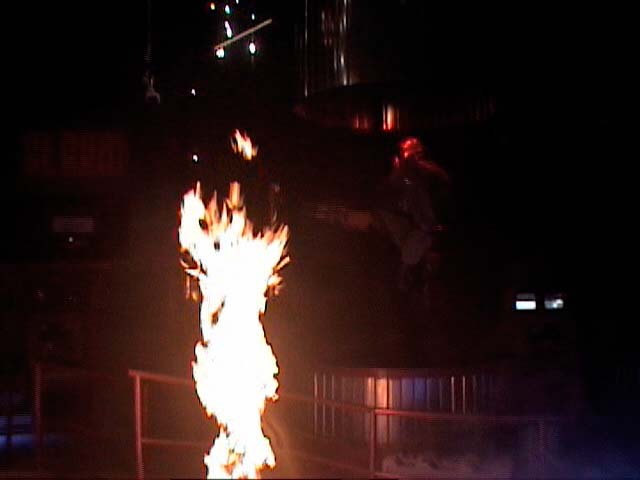 The terminator 4d Game/Show was absolutely terrible, and we didn't even realize it ended, and no one even helped us out. They also have knocked off any and all copyrights, which is actually pretty funny.